The Tesla Model 3 is one of the most anticipated electric cars from the American car manufacturer. 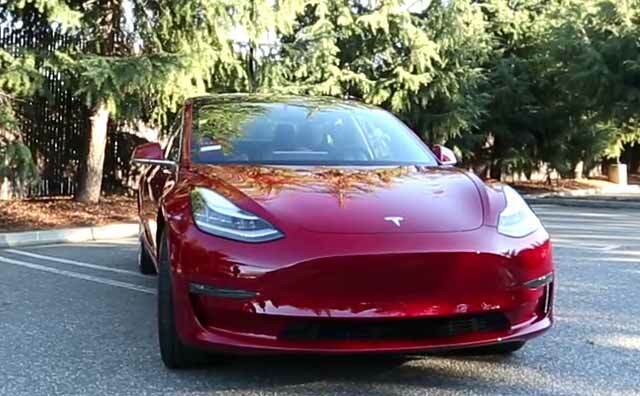 The mid-size premium sedan shares most of its design and style cues with the flagship sedan from Tesla - the Model S. Before the unveiling, Tesla CEO Elon Musk tweeted about the major markets where new Model 3 will be sold with India in the list. Touted as the most affordable model from the electric vehicle manufacturer, Model 3 also marks Tesla's forey in India next year. The EV is claimed to offer a range of 402 kms in one full charge. Realising that Indian market lacks the infrastructure required for charging electric vehicles; Tesla will also work around building Supercharge network in India. Electric vehicles are usually priced high and considering that Model 3 will be brought as a completely built unit, the EV is expected to carry a high price tag. In India Tesla may retail Model 3 at around Rs. 75 lakh. Tesla Model 3 will share styling cues and design with elder sibling Model S and looks more like a modified version of the latter. Key elements on the prototype include a sloping panoramic glass roof, redesigned wing mirrors, sporty alloy wheels, LED tail lamps and subtle character lines. Tesla Model 3 cabin features dual-tone colour scheme and gets a 15-inch landscape touchscreen. The overall treatment is suave and classy. The electric motor houses around 7200 superchargers which sprint the EV from rest to 100km/h in just 6 seconds. Tesla will launch Model 3 in rear and all-wheel-drive versions. Indian market currently has very few options when it comes to all electric vehicles, however, the closest rivals of the Model 3 could be the BMW 3 Series, Mercedes-Benz C-Class, and the Jaguar XE. Model 3 is expected to carry a price tag of around 75 lakh in India. The production of the electric vehicle has already begun for the global markets. Tesla is expected to bring Model 3 to India in mid 2019. The cuts, which have not been previously reported, could fuel investor worries that demand for the Model 3 in the United States has tailed off after a large tax break for consumers expired last year. The Tesla Model 3 dual motor performance version is the high performance version of the electric car and is capable of doing 0-100kmph in just 3.5 seconds.